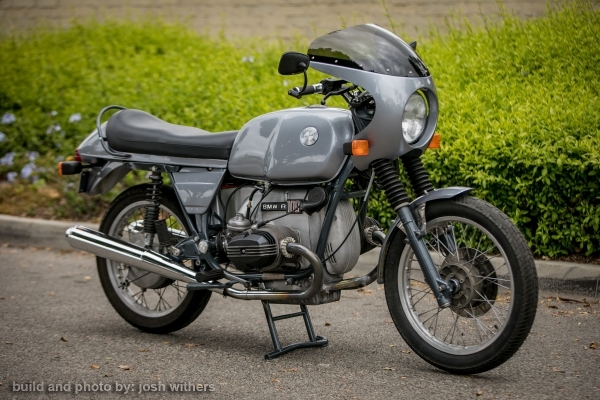 A 1978 BMW R100s fixed up and released back into the wild. This bike is an absolute dream to ride. It runs amazingly smooth. I had to go through some serious DMV hoops to get the salvaged title status back on the road with a deadline of 5 months until I incurred DMV penalty fees. I made it to the registration day with 2 days to spare. I cleaned, restored, replaced, rebuilt whatever it needed to get it back on the road. The front end is from a spare R90/6 that I had lying around.